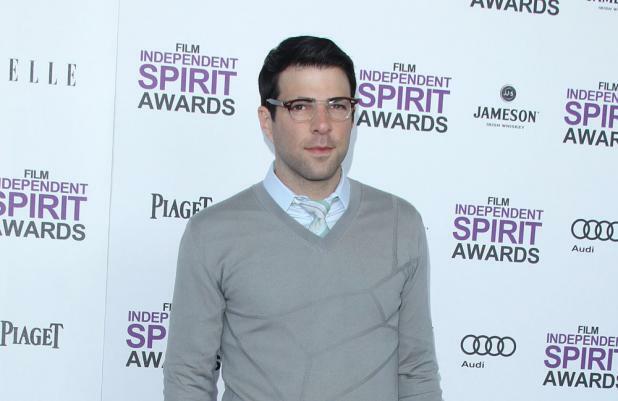 Zachary Quinto wants to play an Ewok in 'Star Wars'. The 'Star Trek: Into Darkness' star would love to play one of the miniature spear-wielding creatures in J.J. Abrams' new sci-fi project, 'Star Wars Episode VII', because he was a fan of the teddy bear-like warriors in George Lucas' original franchise. Asked whether he wanted to get involved in his 'Star Trek' helmer's upcoming movie, Zachary told the Metro newspaper: "I'm sure I'd have a hard time saying no. I'd like to play an Ewok because they're the best." The star revealed he will be reprising his role as Spock in the future, explaining the core cast - including Chris Pine, Zoe Saldana and Simon Pegg - are all on board for a third and possibly final instalment. Zachary said: "We all signed on for three. 'Into Darkness' has been performing really well. It opened at No.1. I imagine that there will probably be a third one but we haven't got the official green light yet." However, the actor admitted it was "almost impossible" for Abrams to return to direct the next film because of his long list of prior commitments, including manning the next 'Star Wars', which is tentatively scheduled for a 2015 release. The original characters from Lucas' intergalactic adventure - which he sold to Disney for $4 billion in 2012 - will make an appearance since actors Harrison Ford, Carrie Fisher and Mark Hamill have signed on to return in some capacity.